Swedish-based progressive metal collective SOEN are delighted to confirm they will be touring Latin America for the very first time in March 2020, in their continuous efforts to promote their stunning Lotus full-length, which was released earlier this year via Silver Lining Music. 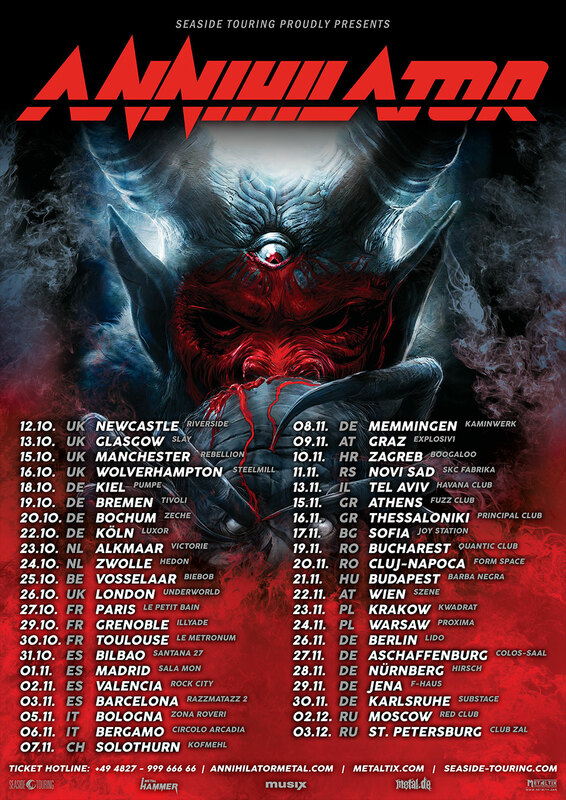 ANNIHILATOR ANNOUNCE NEW UK DATES! ANNIHILATOR add more UK dates to the "2019 TOUR FOR THE DEMENTED"
EUROPE RELEASE NEW SINGLE AND VIDEO "TURN TO DUST"
"The Coffin Train" is set for release via Silver Lining Music on May 24, 2019. The band has just released the video for the furious, ripping and relentless first single, "Belly of the Beast"